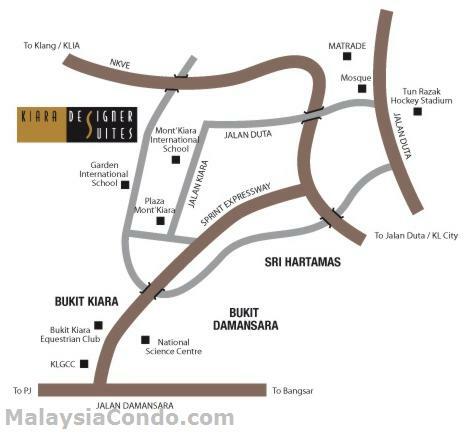 Kiara Designer Suites is located on 3-acres of prime freehold land in the upmarket residential suburb of Mont Kiara. Its easily accessible via the NKVE and SPRINT highways. Kiara Designer Suites comprised a 29-storey condominium block with a total of 324 units and 14 cabana suites. The built-ups for each condominium unit range from 1,088 to 1,428 sq.ft. Facilities include a swimming pool, jacuzzi, gymnasium, tennis court, landscaped recreational deck and barbecue area. Built-up Area : 1,088 - 1,428 sq.ft.